Dr. Abdul-Karim Khan (2012), is a professor of History at Leeward Community College in Hawai‘i where he teaches courses in World History and Islamic Civilization. Khan was born and raised in the Momand tribe of Pashtuns in Peshawar, provincial capital of Khyber Paktunkhwa (formerly known as the North-West Frontier Province) of Pakistan. 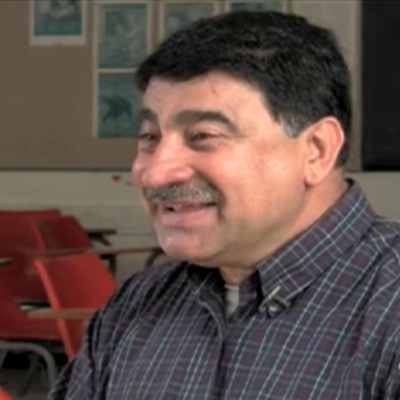 In this interview, Khan discusses his life, his people (the Pashtuns), the Afghanistan-Pakistan border which separates his people into two different countries, Islam, the 1979 Soviet invasion of Afghanistan, the Taliban, and the current relationship between the U.S. and Pakistan. Khan carried out a research project (January-June 2004) in Saudi Arabia, Afghanistan, and Pakistan looking for the roots and resources of international terrorism. He is currently preparing a book-length manuscript for publication entitled, Understanding Afghanistan.